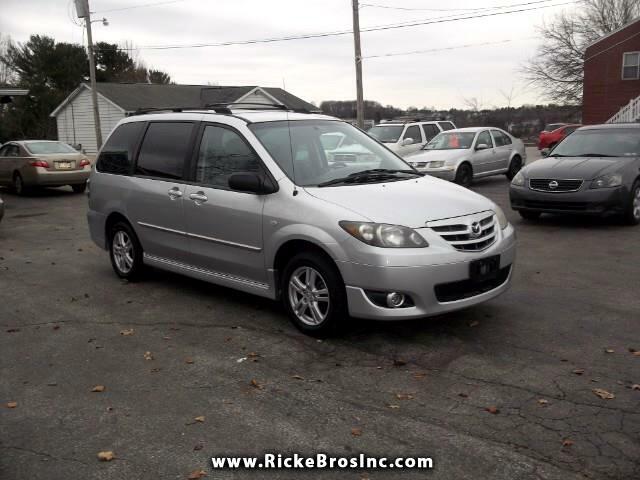 Used 2004 Mazda MPV LX for Sale in York PA 17406 Ricke Bros Inc.
Visit our website, http://www.rickebrosinc.com. Most vehicles come with a limited powertrain warranty, 3 months or 4,500 miles, whichever comes first. Trade-ins accepted. Financing available for Pa residents at a local credit union or finance company. Out of State residents should contact us before applying for credit. Out-of State residents pay no sales tax and receive a 30 day temp tag for $110 with proof of insurance. Payment by cash, cashier's check, certified check or bank loan check. Personal checks and credit card checks are not accepted. Credit cards may only be used for deposits. Deposits are non-refundable. We do our absolute best to provide you with the most accurate information available. Sometimes an error may occur. Please verify all information listed on the vehicle with your sales associate. Message: Thought you might be interested in this 2004 Mazda MPV.